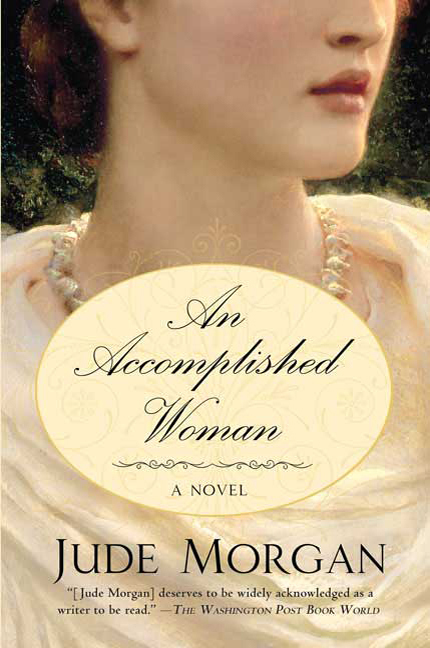 Jude Morgan's An Accomplished Woman is one of his novels set in the late 18th century. In the style of Jane Austen's Emma, it centers on an independent woman living in the country with her aging father and her many strong opinions. In 1799 Lincolnshire, Lydia Templeton has just reached the age of 30. She spends most of her days reading and walking and enjoying her life, but all that goes astray when her godmother Lady Eastmond asks her to accompany a beautiful young heiress, Miss Phoebe Rae, to Bath for a season. Phoebe is young and naive and impressionable and has managed to fall in love with two men and needs help choosing between them both. Lydia dreads this task like no other, but ultimately decides to become Phoebe's companion. Luckily, her neighbor, former suitor, and witty friend Mr. Durrant will be there, too, hoping to find a wife and cut his useless nephew out of his succession. I really enjoy Jude Morgan's writing style. He's very witty, has a great talent for metaphor, and puts in some literary asides for those of us who can catch them, too. He clearly knows the Georgian period very well; he's written several books that take place during that era, all of which have a similarly light and engaging tone that is very reminiscent of Jane Austen. However, sometimes I think he tries too hard. There are a few too many witty metaphors, if that makes sense- so many that I can imagine him sitting over his desk trying really hard to find one that is just witty enough. And all of the wit comes from Lydia Templeton- very rarely does anyone else make a very observant and funny statement. I am sure the Georgians were rapier-sharp with their insults and jokes and general conversation, but they must have sometimes rested and not been quite so on, all of the time. Also, this book was just very, very slow. It took over 100 pages for Lydia to decide to go to Bath as a chaperon, for example. And it could have taken about twenty. There were a lot of scenes that I didn't feel added much at all to the book, and a lot of internal dialogue on Lydia's part that was, while witty, not particularly relevant to the story. I don't understand why Lydia was so deadset against going to Bath, except that she thought it was a little de trop. But I don't know why that would cause 100 pages of indecisive angst on her part in the book, particularly as she is known to be a strong-willed and opinionated woman. 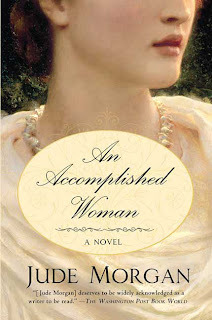 Much like Morgan's Indiscretion annoyed me slightly with its stereotypical gentleman-who-does-not-want-to-marry character, Lydia Templeton in this book was very much a managing woman who managed everyone else's lives without seeming to realize how much her own life needed to be managed. This book, however, was much better than many others on one part of the romance front and not so great on another. First, what I thought to be the negative with regard to the romance- it wasn't very believable. That is, the two fought all the time. While I recognize that many times in romance novels, this is just a precursor to a very passionate, long-lasting love, I don't think it often works that way in reality. It just didn't seem like much sympathy existed between Lydia and her chosen man, and I was wary of their ending up together. They didn't have much chemistry, in my opinion, so it was hard to see that anything really "clicked." On a positive note, though, at least the man was completely unaware of his feelings, just as much as Lydia was. I mentioned in my review of Summers at Castle Auburn that I get so frustrated and annoyed with the romantic trope of a man who knows that he and the heroine are meant to be, but the heroine is so blind and clueless that she doesn't realize it until the very end. That didn't happen in this book at all. Both characters (and me, the reader) seemed completely unaware of their feelings for each other until the declaration at the end. This has been my least favorite book that I've read by Jude Morgan. I enjoyed the witty repartee, the banter and the very real feel of the period, but I think it moved too slowly and didn't much care for the characters. I still plan to read all the other books by him I own, though! I am pretty sure that I wouldn't like this book, and as I am trying to move away from books that are heavy on the angst, I think this will be one that I skip. It is interesting to me that the characters had no idea that they would end up together until the end though. You don't often see that in books like this. I think this book was a mixed bag for you, perhaps. I have not read anything by Jude Morgan, but it sounds like the kind of historical novel I really like. But I also get really frustrated when a novel seems to move in slow motion. So perhaps I should check out an earlier title! Zibilee - I wouldn't say there is a ton of ANGST in the book, exactly, but there is drama. I just didn't think it was necessary drama. Especially for 400 pages! Col - I highly recommend The King's Touch! I've never read anything by Jude Morgan either, but I may take your recommendation and try The King's Touch. I loved Passion and The Taste of Sorrow but haven't read any of Morgan's other books yet. I'm not sure I would like this one as I often have a problem with very slow books. I'm looking forward to his new novel about Shakespeare which is due in March or April, I think. This sounds like one I would probably skip. If it is slow and trying too hard I won't enjoy it! I'm not familiar with this author, though likening it to Austen's Emma certainly got my attention. But id it's that slow I'm not sure I'd have the patience.